No matter what they call themselves, young sisters Lauren and Brooke DeLeary have the manifest talent and “X Factor” that separates them from most other young artists. Songs like “Overtake Me”—which has “big hit” written all over it—demonstrate a songwriting talent rarely (as in “almost never”) seen in artists this young. 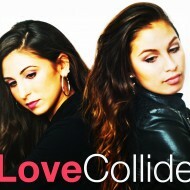 LoveCollide is very serious-minded in its mission to “draw you closer to Him,” and the over-all feel of this album is one of reflective joy and celebration. In song after song—mostly notably “Sold Out,” “Through Your Eyes,” and “Numb”—the musical (and spiritual) mood is enhanced by well-crafted melodies, beautifully braided harmonies, infectious hooks, and thoughtful, nuanced lyrics that probe important facets of trying to live an authentic Christian life. For two young artists who have shown great promise for years, this album delivers in a big, big way. How can cool new technologies help musicians and songwriters? What incredible new features and benefits do these gadgets and gizmos offer? You’ll get the specific (sometimes jaw-dropping) answers at this month’s Nashville Music Industry Luncheon, sponsored by Indie Connect. WHEN: Thursday, April 24, 11:30 a.m. to 1 p.m. The Nashville Music Industry Luncheon is a monthly opportunity for people from all corners of the music industry to network, master-mind, and be educated by industry leaders. The event is held the last Thursday of each month from 11:30 – 1:00 PM at SOUTH. The art of biography extends infinitely beyond recounting the who, what, where, when of a person’s life. Shaped by a truly gifted biographer, it profoundly illuminates the person’s soul, character, desires, motivations, the implications of his art or other achievement. In short, it reveals—richly, with nuance and color—why he or she mattered. That is the unforgettable achievement of Torment Saint: The Life of Elliott Smith by William Todd Schultz. Simply put, no one interested in Elliott Smith and his deeply affecting music should miss this book. 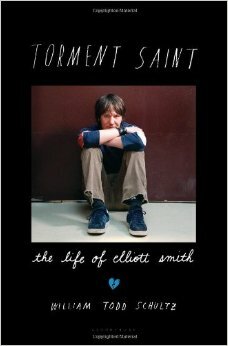 Written dispassionately yet with an obvious love and respect for its subject, Torment Saint is the first biography of Elliott Smith not only to recount the details of Elliott’s troubled life, but to offer profound, sensitive, authoritative insight into the shadowed complexity of the soul that created such indelible, spectral music. UNDERGROUND NASHVILLE: Why did you feel compelled to write this new biography of Elliott Smith? WILLIAM TODD SCHULTZ: It’s actually pretty simple. I was compelled to write the book out of a sort of shock at the magnificence of the music. From the time I first heard it—my daughter was playing it (she went to Lincoln High School [in Portland, Oregon], like Elliott)—I had an instinctive, immediate response. Then, as I listened more—really, truly incessantly—my feelings about his songs became more personal. I felt like he was articulating experiences I knew, in a way that made them more understandable, and definitely more beautiful. As someone I spoke to said, he made suffering beautiful. And I found that captivating. UN: What do you think will be seen as Elliott Smith’s most enduring achievement as a singer-songwriter? WTS: I’m not sure. Part of me wants to say that great art lasts just because it’s great. It will always endure. It elevates and sharpens and defines reality in a way that’s unstoppable. His music is intensely powerful, so I don’t see it ever losing that power, as more and more people hopefully discover it. 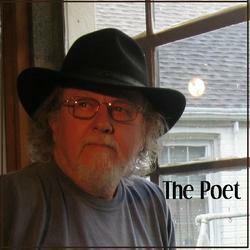 Someone once said, “In a world devoid of poetry, what one must do is . 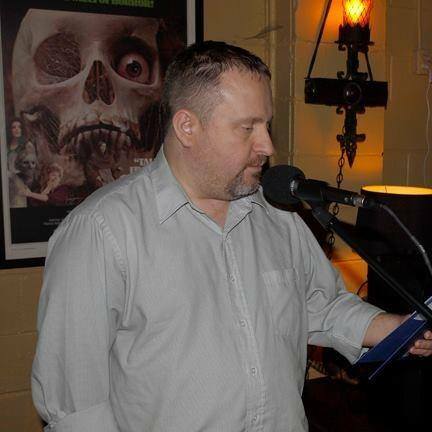 . . write poetry.” One artist living and working in that spirit is Nashville-based poet and short story writer Chance Chambers. And the world is richer for it. In a recent conversation with Underground Nashville, Chance—who also is a musician and songwriter who played in Jessica Speltz’s band in the late ‘90s and early 2000s—discussed why he’s drawn to poetry as a means of artistic expression. we agreed was perfect for getting stoned. to argue with a newspaper machine. Now everyone who enjoys the kind of authentic, from-the-heart writing that is the hallmark of a Jim Callahan song can enjoy a full cup of it—just a stone’s throw from Music Row. Jim will be appearing under his “These Lucky Guys and That Beautiful Gurl” banner this Thursday, April 10, at Belcourt Taps, starting at 8:30 p.m. UNDERGROUND NASHVILLE: So what’s Jim Callahan been doing lately? What’s the latest focus of your songwriting? JIM CALLAHAN: I’ve been in the studio the past few weeks, working on a double EP project called Stories from Edison Road. Itwill include a few previously recorded works with brand new orchestration and arrangements, and a few songs written over the past few months. Produced by Josh Martin, these songs are getting a whole new life under his guidance. Volume 1 will be available June 1st. We expect to have Volume 2 available by August 1st. With some guidance from Amanda Williams and her http://www.songwritingandmusicbusiness.com, I recently placed a song on a new TV show called Gear Heads. And even more recently, had a brand new song “picked-up” by three different publishers, each of whom believe they have an artist who will want it. That song, “Right Amount of Wrong” (a bluesy, sultry piece), was written with Carrie Cunningham, and will be included on my EP. UN: Why do you enjoy presenting your songs within the framework of “These Lucky Guys and That Beautiful Gurl”? JC: That is a “banner” I’ve used for about three years, to describe my group of songwriter friends who perform with me on a regular basis. 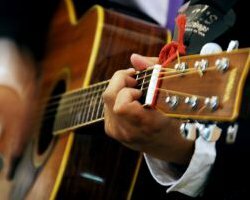 We have a reputation for bringing something special to our songwriter rounds, performing traditional county, pop, soul, rockabilly, folk, and Americana, all on the same stage. That variety is very much a reflection of who I am, and where I come from musically-speaking. The core performers include Mark Vikingstad, Taylor Dukes, Josh Martin, and myself. Others who perform with us occasionally include Tim Rowland, Michael Boris, Heather Batchelor, and Shannon Selig. UN: What are your musical plans for the remainder of 2014? JC: We did not do a Kickstarter-type program for Stories from Edison Road, but we will have a “pre-order” system setup for the double EP within a few days. Following completion and release of that project, I hope to be on the road some. I’m looking for a few small acoustic venues in the Southeast and Midwest, as well as house concert opportunities. Belcourt Taps – – April 10th from 8:30 – 9:45 p.m.
Sammy B’s at The Mill (Lebanon) – – April 25th from 8:00 – 10:00 p.m.
You are currently browsing the Underground Nashville blog archives for April, 2014.